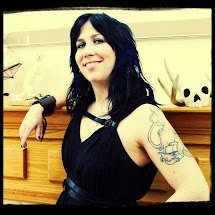 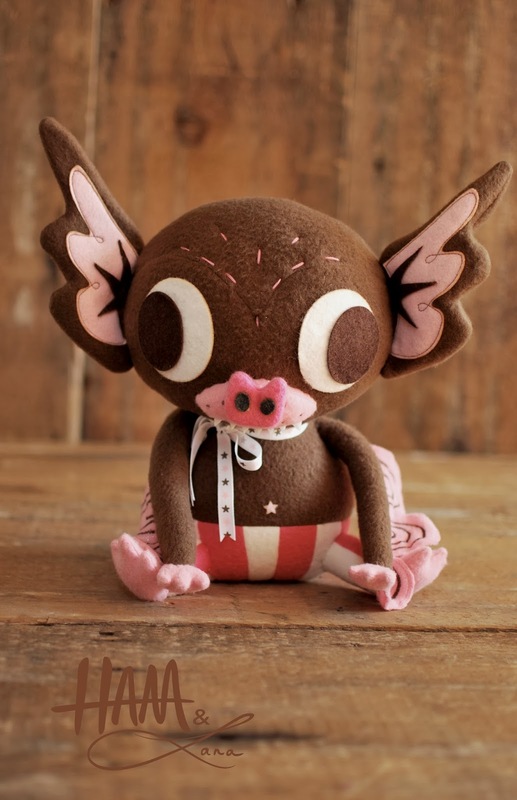 For the 2013 New York Comic Con, Clutter Magazine will be exclusively releasing Gary Ham and Lana Crooks' Hermees Plush in the "Neapolitan" edition. 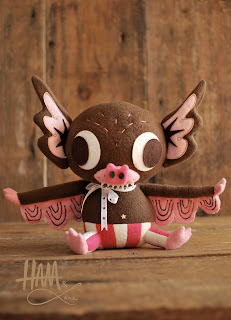 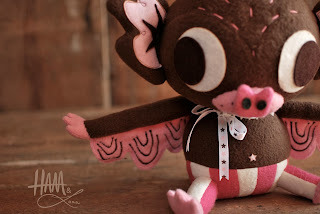 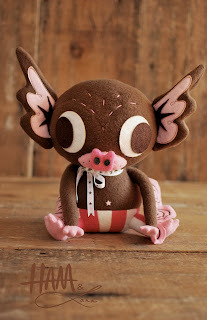 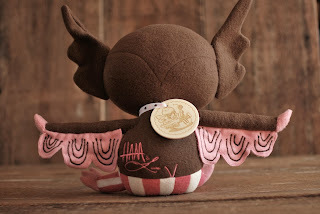 Standing 14" tall with a 17" wingspan, this brown, creme and pink colorway edition has been handmade by Lana Crooks, Original Character design by Gary Ham they mimic the vinyl edition perfectly. 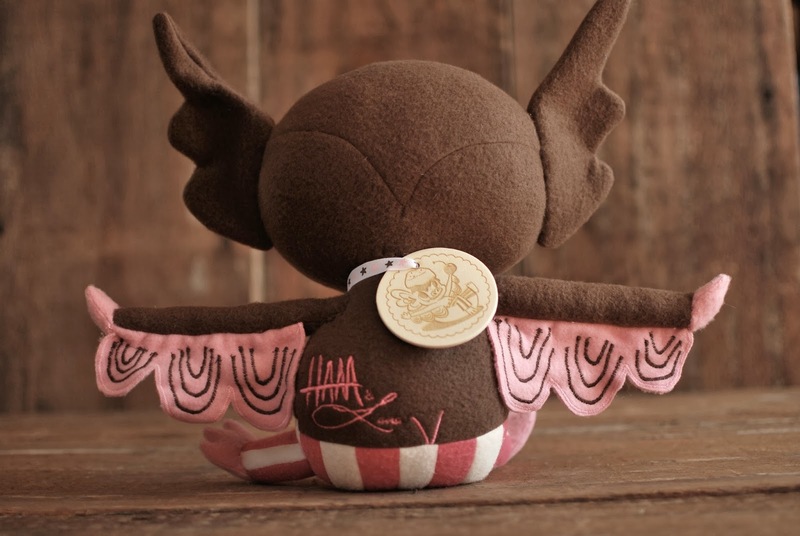 Made out of Fleece and wool with embroidered embellishments and ribbon, each piece has an etched wood tag that contains both artists' signatures and edition number. Limited edition of 5 worldwide, $200 each.